A lot of work goes into creating content that wins. There are many pieces that come together to give your audience an experience that converts. It’s like a football game: content is the team, a content calendar is the playbook and a content marketing platform is the coach. One player can’t carry a whole team to the championship; the playbook is no good if you don’t have good players to move the ball forward, and it can go horribly wrong if you don’t have a coach to give them direction. Just like a coach, the content marketing platform can’t do everything, but a good one can make content successful by providing the guiding insights to take the team to the marketing playoffs. 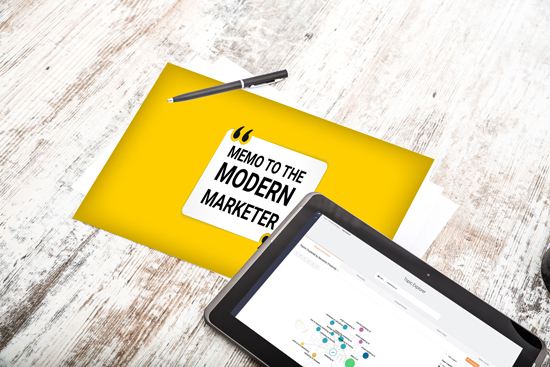 In this Memo to the Modern Marketer, we take a tour of the Searchmetrics Content Experience to see what a content marketing platform can do for you. 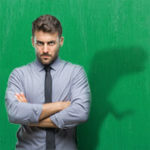 First thing’s first: many content marketing platforms won’t tell you who your audience is; the best ones can help you target that audience effectively. Before you get started, your team needs to determine who you want to target and why. Take Buzzfeed. It’s a global media producer that focuses on viral content. According to data collected by Quantcast, Buzzfeed brings in more than 166 million unique visitors from around the world every month. The site understands who its audience is, and it attempts to tailor its content to get that audience to share it early and often. Once you set your content strategy in motion, content marketing platforms like the Searchmetrics Content Experience can read how your audience responds to the content you’re creating. You have to publish and promote a lot of content to have something to measure, but the more the more you create, the more information you have to analyze and apply to new content. 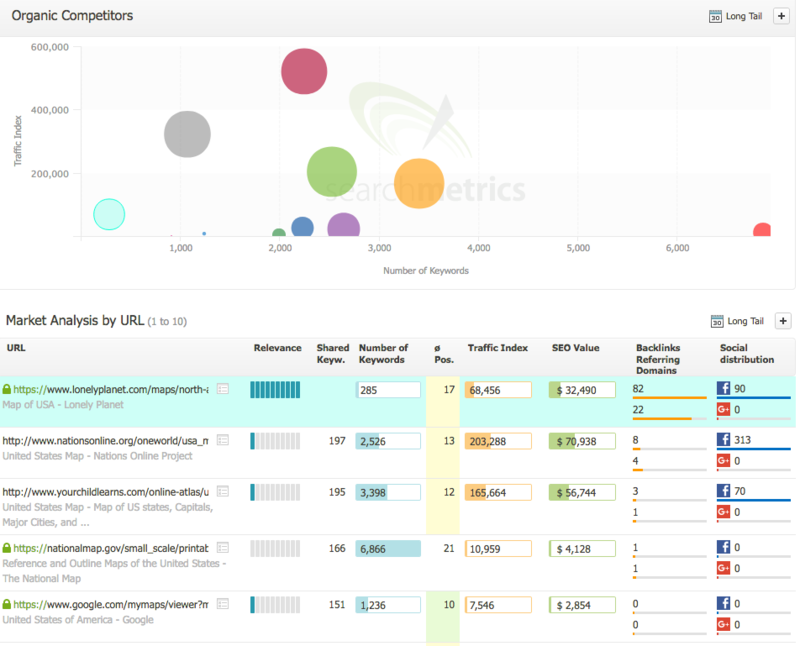 A good way to start is to perform holistic analyses at a URL level. 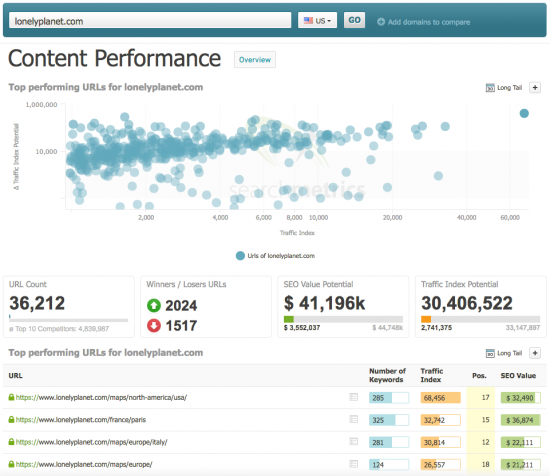 Examine almost every element on a site — from top performing URLs, to its social distribution. Let’s look at LonelyPlanet.com. 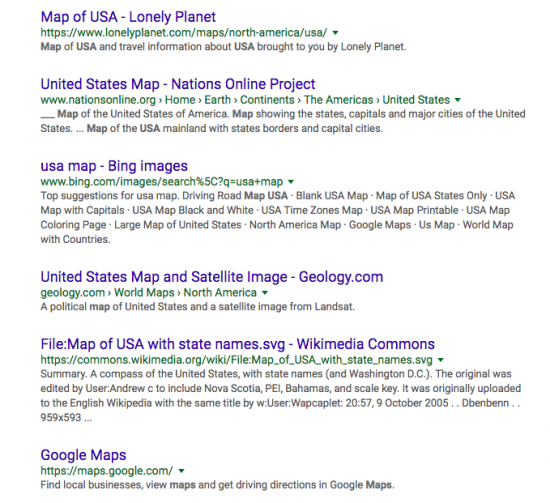 The chart drawn from the Searchmetrics Suite shows people search Lonely Planet most for its map of the US. Clicking on that line takes you to a page that gives you a more detailed analysis of the URL — traffic index, relevance, and SEO value, and how it all measures up to its top competitors. It shows where there are gaps and areas for improvement. 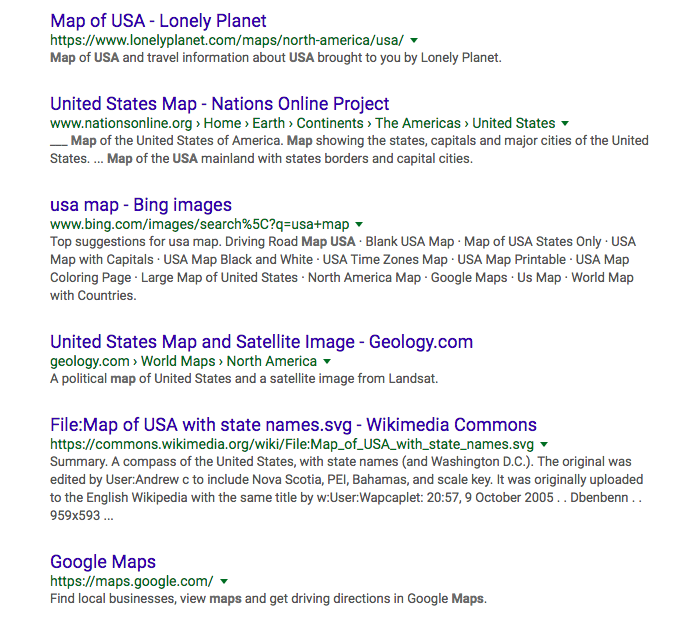 A search in Google for “map USA” returned Lonely Planet’s URL at the top of the SERP — ranking higher than Google Maps. One of the key elements of winning content is having the right keyword strategy. This requires insights about your company, what you want to promote and who you’re targeting. 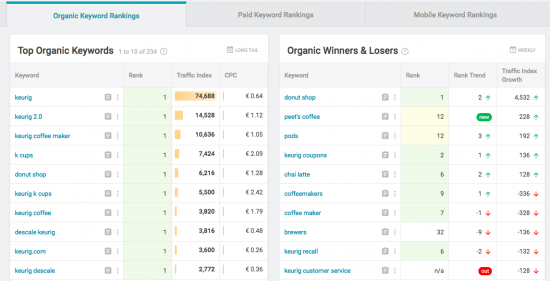 When you know these things, you can start the discovery phase of your keyword strategy. 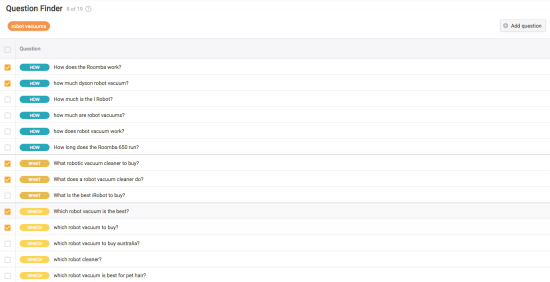 Using the Searchmetrics Content Experience, you can find suggestions for high-volume keywords for your specific domain. A query can show you the keywords that are already working for you and the ones that need some improvement. 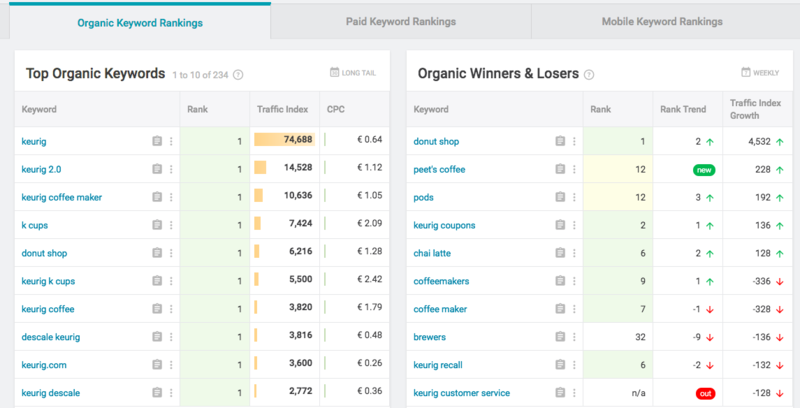 Here, you can see the organic keywords for which Keurig is winning and losing. 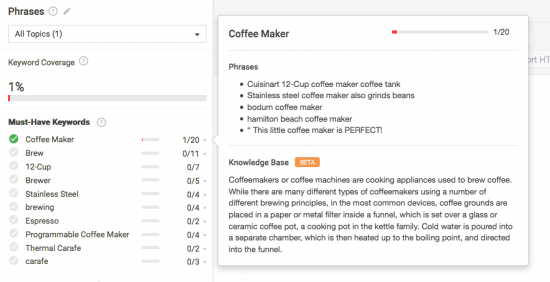 Once you’ve completed your keyword research, the Searchmetrics Content Editor suggests keywords as you’re writing. 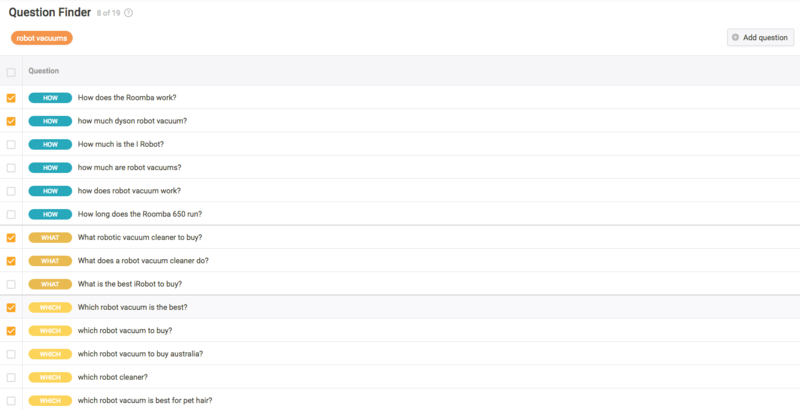 By clicking on one of the “Must Have Keywords” in the Content Editor, it shows you how to use them effectively. A lot of thought and information goes into creating a content calendar. While great strides are being made in the world of artificial intelligence, content calendars still require human input. 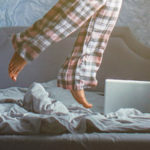 While it would be easy to write a dozen blog posts containing powerful keywords and sprinkle them throughout the year, those posts may not garner as many readers as they could if they were scheduled thoughtfully. Keywords are the foundation of each piece of content you produce. 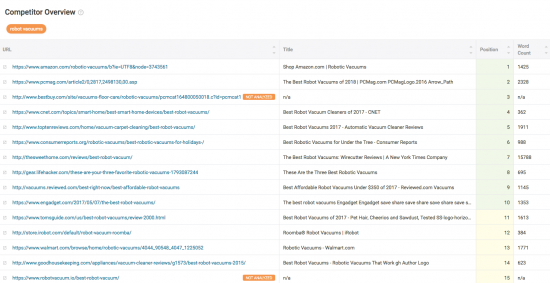 As you are selecting keywords, the Searchmetrics Content Experience simultaneously analyzes the times of year users search for those particular terms the most. With that information, you can come up with content based on those insights. 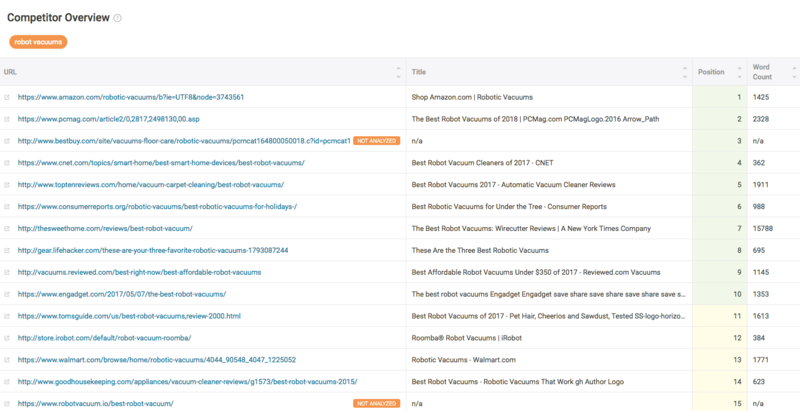 The Searchmetrics Content Experience also can even help you explore topics to write about that are related to those keywords. 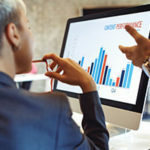 This helps strategists determine when they might see the most traffic for posts with those keywords, making those posts more relevant and effective for potential customers. Let’s look at outdoor clothier Cotopaxi.com. The Searchmetrics Research Cloud’s keyword discovery tool shows that August is when people are searching most for backpacks, so that would likely be the a good month for the backpack guide. Though a content marketing platform can help you discover quality keywords for your content and tell you the most effective times to post your content, it can’t guarantee your content will be found. 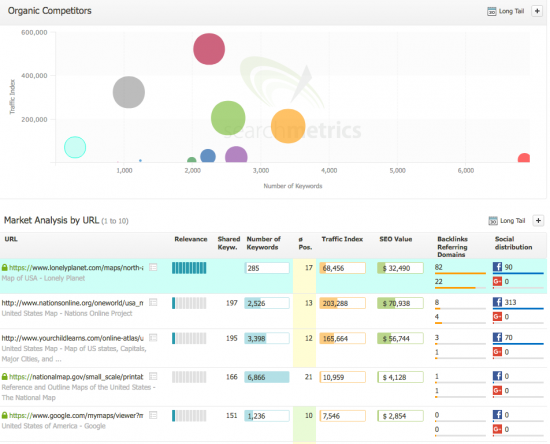 Searchmetrics’ “Visibility” is an industry recognized KPI. It takes data from search volume, organic position, and the dynamic click-through rate (CTR) modeling to calculate a score. The higher the score, the more it shows up in internet searches. There are many reasons visibility changes. While having great content should increase visibility, there are outside factors that can affect it. For instance, one event that can cause a score to drop is a Google algorithm update. Google can change its algorithm without warning, but if you look back at the visibility graph, the platform can indicate when Google made an update so you can determine if there’s correlation or if there’s another reason for the change, like a loss in keyword rankings. Writers still have to take the data provided by platforms and shape it into something valuable your audience wants to consume. Searchmetrics collects a wealth of data and neatly packages it in the Searchmetrics Content Experience, which is designed to help writers win. It arms writers and strategists with what competitors are doing with similar topics. Hoover has been in the vacuum cleaner business for decades, but with new products being introduced to the market, its content has to be as competitive as the products it produces. Once a writer creates a brief and core topic in the Searchmetrics Content Experience, the platform returns competitor URLs for that topic. This gives writers the opportunity to see exactly what they’re up against. 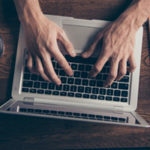 The Content Experience Question Finder also provides specific questions internet users are asking about particular topics that writers can use to get started writing. 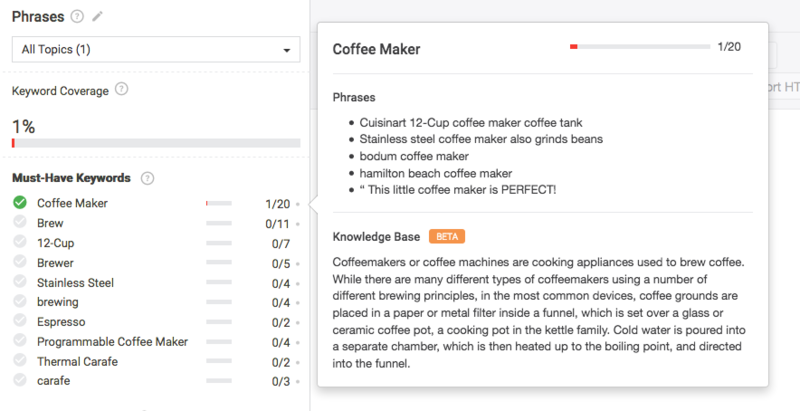 We’ve already mentioned the Content Editor on the left side of the writing section for the Searchmetrics Content Experience. 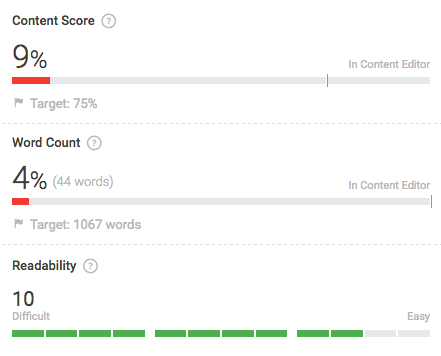 On the right side of the screen, writers can keep track of all the elements that make up great content and the estimate quality of that content in the form of a score. You know you need a content strategy and you know why. Putting it into action through a content marketing platform streamlines the practice.